When patients start dying unexpectedly in the O.R. at Mercy Hospital, anesthesiologist Doug Landry finds himself the focus of the blame. Is he really incompetent or is there something more sinister going on? As Doug struggles to clear his name and unravel the secret of the mysterious deaths, it becomes clear that someone will stop at nothing to keep him from exposing the devastating truth. 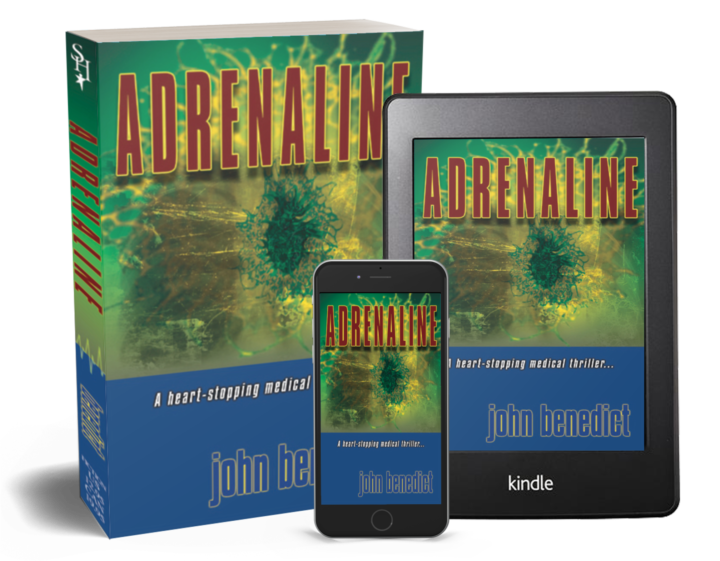 Doug becomes trapped in a grisly race against time to prevent more deaths--including his own. Read reviews for Adrenaline as well as reader reviews from Amazon. 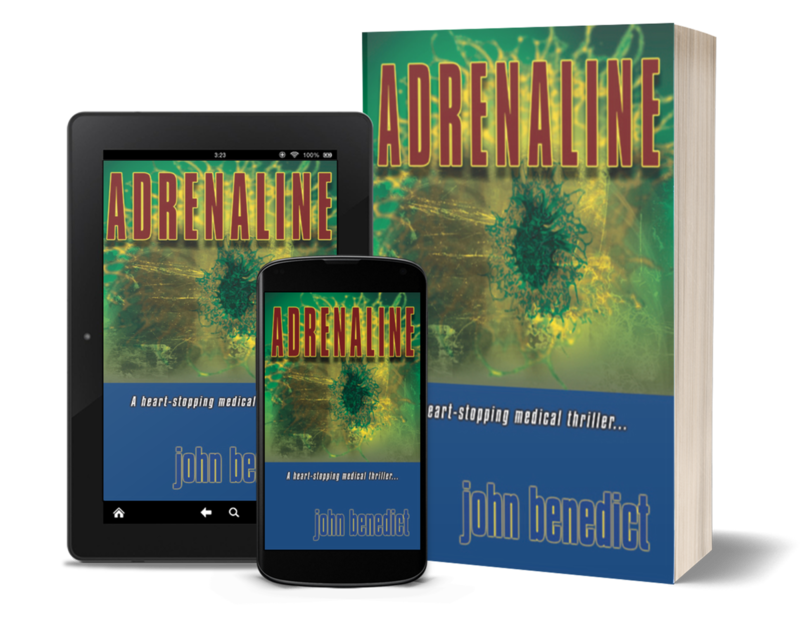 Join the mailing list for updates and to receive your FREE ebook copy of ADRENALINE! Want a signed copy of Adrenaline? Excellent book. Loved all the medical discriptions of pharmacology and effects. Loved Doug’s character and was sad to see Mike lose to Raskin & Marshall. But that’s also why it was a good read. Look forward to reading The Edge Of Death!